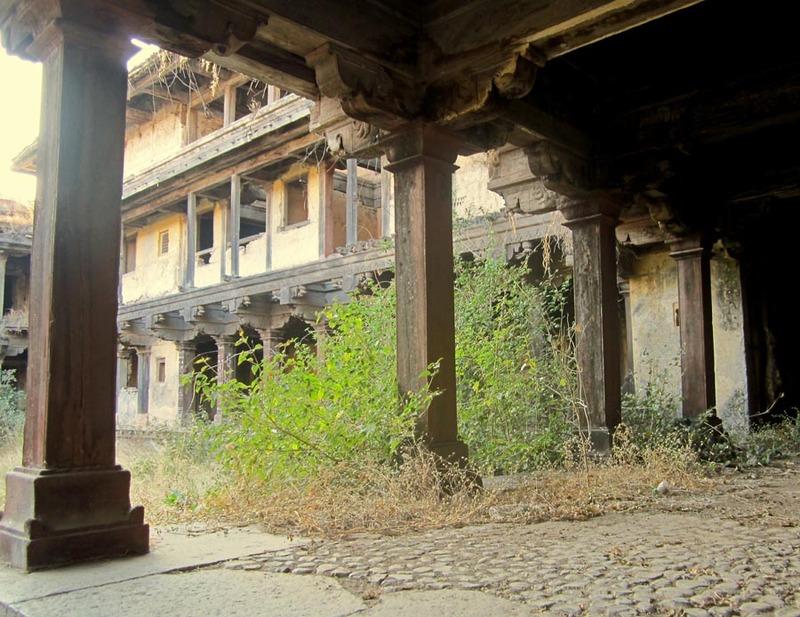 These are a few pictures of the Sardar Purandare Wada (which is a large house with a courtyard), and is a continuation of the previous post with pictures of the exterior of the Sardar Purandare Wada at Saswad. 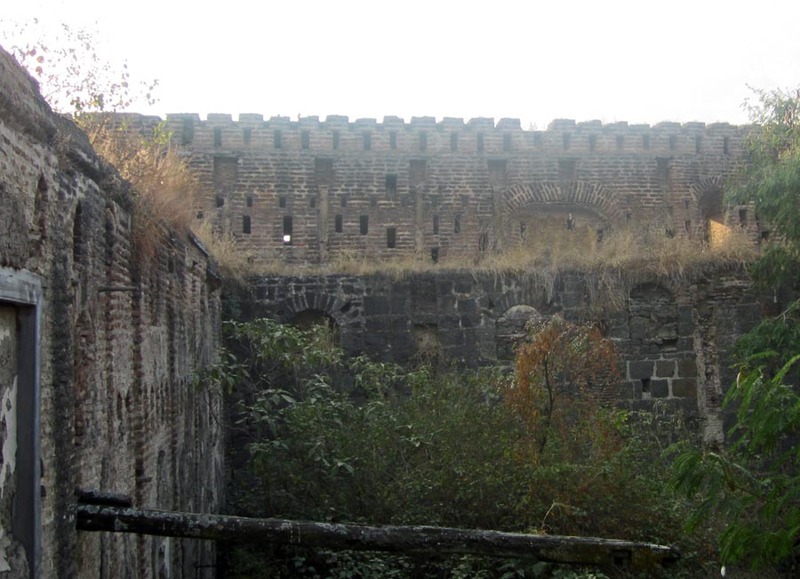 Saswad, near Pune, is a small historical town. It has some ancient temples, and also has this huge Purandare residence, which is more like a fortress! These are some photographs of the interior. The first image is a close up of a small trap-door, which is at the bottom of a very high spiked door at the entrance to the wada. 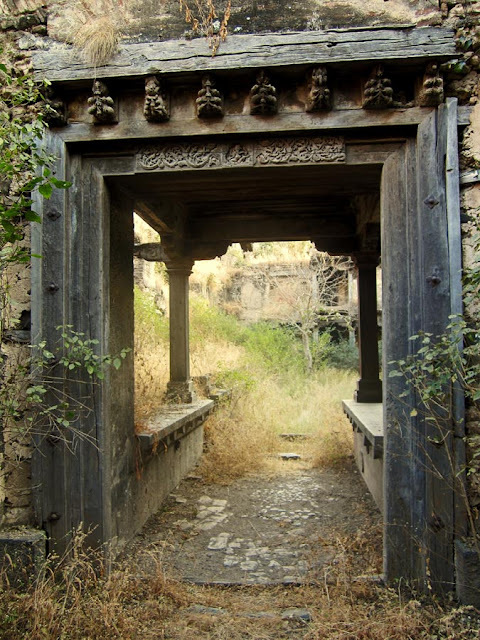 It was my ancestor, Ambaji Purandare, a Diwan of the Peshwas who owned this wada and built it with the help of the Peshwas, possibly in 1710. 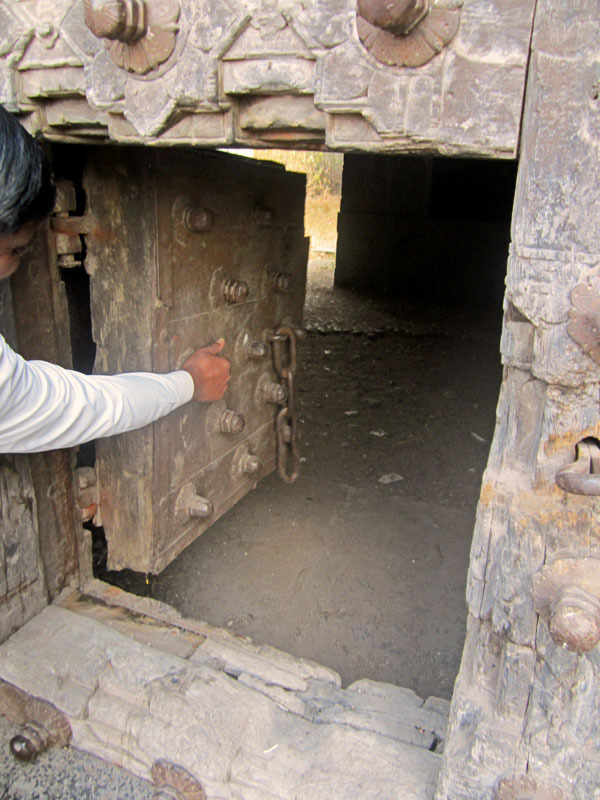 Opening the huge iron doors is not practical today, and the way to enter is through this small trapdoor. You enter into a fairly large corridor inside with a very high ceiling which is a buffer between the door and the actual wada. At one time, there were doors on both the sides. A way to trap invaders if they did break into the main door. Walk a little further ahead and you enter open space, and another door which leads you into another corridor. This is the entry to the main house. Carvings still decorate this wooden door. Once you enter and look to the right, you can see the dilapidated rooms. Huge corridors line the rooms. The structure is still standing and it is possible to climb up three floors and explore the inside. The other side of this structure lies in ruins.